How to make homemade vanilla extract. Super easy, fun, and cost effective. Great as gifts for Christmas, housewarming parties, or your foodie friends birthdays! Let’s talk about vanilla extract. If you’re a baker, you use a lot of the stuff. Those tiny little jars you buy at the grocery store probably don’t last you very long, and this isn’t an ingredient you can afford to go without. 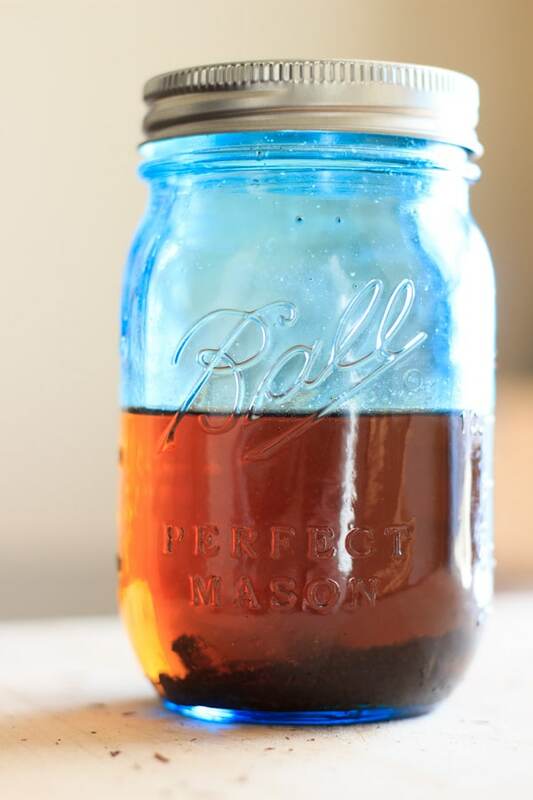 Have you ever thought about making own vanilla extract at home (or did you even know you could)? While it does take a while for it to age, it only takes a few minutes to get started and you only need two ingredients – vanilla beans and vodka. The tricky part is finding beans. You might see them at the grocery store or specialty store, but they are usually quite expensive. I used these Madagascar beans that are usually fairly priced. I have seen the general rule of thumb is 3 beans per 8 ounces of vodka, but I used only 2 beans. The beans I had were 7 inches long, which I think is about normal. You can use more beans if you’d like (I’ve seen some people using up to 5), but from my personal experience 2 worked just fine. An important trick is to cut the beans into about 1-inch pieces, and slice them down the middle so all the flavor can come out. 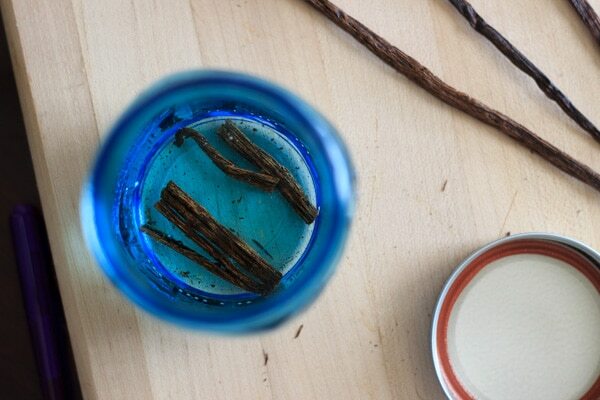 In a jar that has a tight-fitting lid, add these vanilla bean pieces into a cup (8 ounces) of vodka. I used these blue mason jars , but you can find plenty of cute jars for this purpose. It won’t look like much right off the bat. At first, it will just look like dirty vodka. Shake it up real good and put it in the cupboard. Here comes the waiting part. For the extract to age properly, it needs to sit at least 2 months, preferably 3. Every week or so, take out the jar and give it a good shake to mix up all the vanilla bean goodness. By the time it’s ready to use, it should have a deep dark color and a strong vanilla scent. 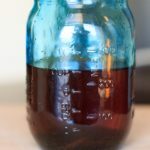 I love making my own vanilla extract, and also giving it as gifts! I once found a “make your own vanilla” kit at a Homegoods store, and brought it to a white elephant holiday party. 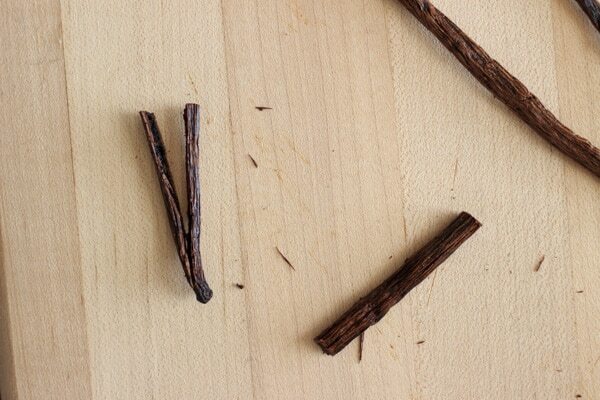 The woman who picked it was so excited, she had never thought to make her own vanilla! The best part is you can just keep adding vodka and more beans as you start to run low. No need to start over from scratch every time! So go buy some vanilla beans and make some! How to make your own homemade vanilla extract. Super easy, fun, and cost effective. Great as gifts for Christmas, housewarming parties, or your foodie friends birthdays! 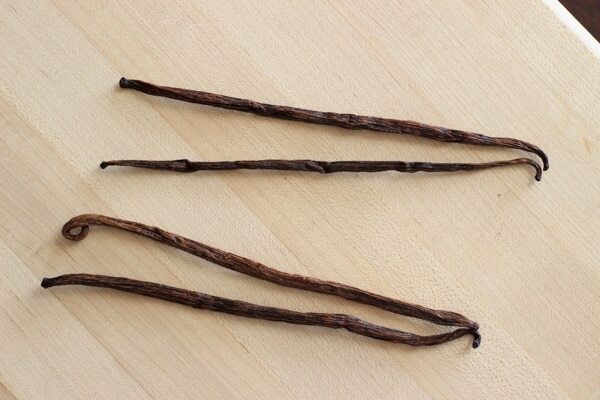 Cut vanilla beans into 1 inch pieces, and cut the beans open by slicing down the middle. In a jar with a tight-fitting lid, add vanilla bean pieces and vodka. Store in cupboard and shake well about once a week for at least 2 months. After about 2 months the vanilla extract should be ready to use. If you can wait 3 months, that's even better! Make it fun and use some unique or colorful jars to put the vanilla extract in. 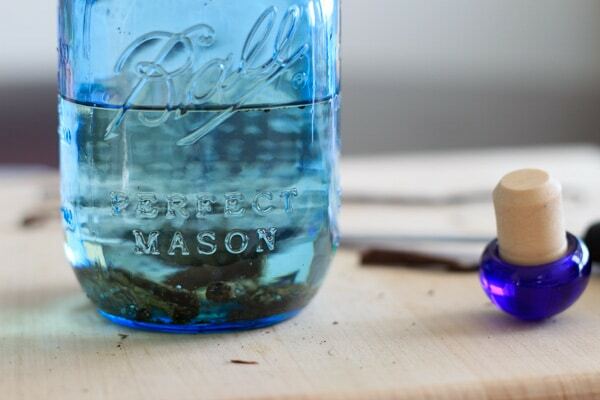 I used these blue mason jars and there are so many other options to add that extra touch! That’s good one. I make my own too! What a great post! 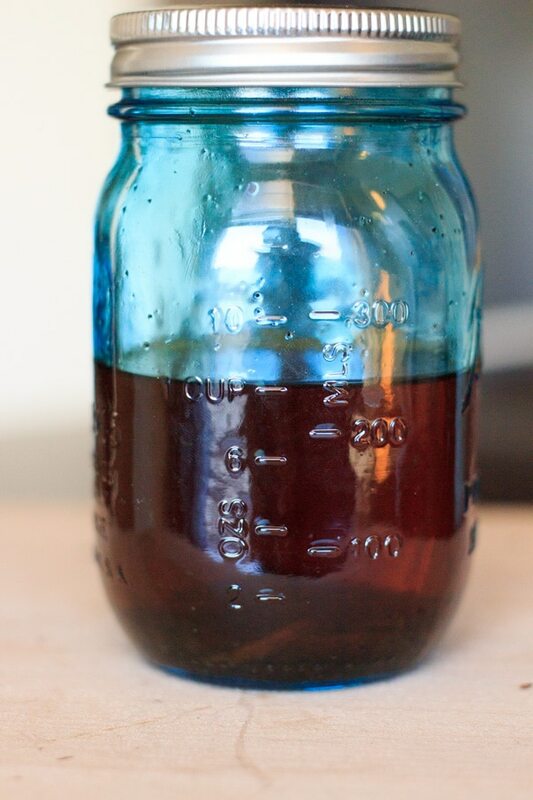 I go through vanilla extract like nobody’s business…I seriously use it all the time! I had no idea it was this easy to make my own. Definitely trying this out! Thanks so much for sharing! I’m so glad this was helpful to you Gayle! I was looking for this recipe. I will still make it for gifts. Thanks so much.